Have you realized how much people are into social media? All Facebook, Twitter, and Instagram users have experienced the moment of dissatisfaction when they see they didn’t get many reactions to their latest updates. We quickly check the notifications on every hour or so, just to see how much people like us… and check out what our friends shared. Social media has changed the way we socialize, but it didn’t stop there. The way we work is also different. It seems like, without social media, we cannot function properly. Book advertising has also changed. Writers are communicating with their audience via social media. They are advertising their books through these platforms. If your book is not all over Facebook, no one will ever notice it. Is that really the case? Should you conform to the modern trends or should you try something different? Going back to the old methods of book advertising is considered extreme nowadays. Why would you opt for alternative methods when social media connects you to a large audience? The answer is simple: these alternative methods offer tons of benefits that you’re neglecting when you focus solely on social media. Before we get any further, let’s make something clear: it is possible to advertise a book without using social media. Let’s see how. Remember the good old days when authors used to meet their readers at local libraries, book clubs, bookshops and coffee shops, and read fragments of their books? If you’re a young author, you probably don’t remember those days. Today, authors rarely do this, and that’s not a good thing. Why are live reading sessions important? They present you as a real person, who can connect with the readers. They will get a chance to sense the soul of your book when you read the most emotional parts with your own voice. That’s the kind of connection that social media can’t help you develop. Email marketing is going stronger than ever. Think about this: what if all social media networks disappeared for a day? What would happen to your advertising campaign? Email marketing is a great backup, but it’s also a stand-alone advertising method that can completely replace your social media marketing efforts. The trick is to develop an email list, start sharing well-designed emails with great content and encourage the recipients to share information and opinions with you. You can achieve that by sending surveys from time to time. Let them vote for the cover of your new book, ask them to send ideas, or simply invite them to send you messages. Then, you’ll respond. Is anyone printing and giving out promotional flyers nowadays? This marketing technique is so rare in book advertising that it almost seems radical. Appealing flyers can get you tons of attention when you distribute them at the right places. Bookstores, coffee shops, and libraries are the perfect places to consider. The potential readers will take those flyers and put them somewhere in their bags. Some of them will instantly fall for the description, and they will want to buy your book. The others will think of your book again when they are looking for something in their bag, and they come across the flyer. The content on that flyer matters! It has to be catchy and straight on point. Brilliant authors are not always great at writing marketing content, but you can solve that easily. You can get content writing help from services like AustralianWritings. Social media is great for establishing strong connections with your audience. Forums, however, are better. They allow you to start and join focused discussions with the right audience. When you land at the right forum and the appropriate thread, you can rest assured that you’ll be targeting readers who would gladly read your book and offer opinions about it. The best part is that you’re free to start contributing to forums. Don’t hire a team to do that for you; you’ll need less than half an hour per day to contribute with a post and check what the audience has to say. Forums take less time than social media, but they connect you with a more focused audience. There’s a reader for every blog out there. When you’re trying to promote a book, you have to make your blog really successful, so more people will hear about it. In-depth blog posts take a lot of time to research and write. You have to stick to a blogging schedule that will keep your audience engaged on a regular basis. The solution is in short blog posts in between in-depth ones. Publish 150-word blog posts every day, so you’ll inspire your readers to read more. These posts can be in the form of writing prompts, questions that ask for their opinions, or excerpts from your work. Leave the comment section open and encourage your readers to take part in the discussion. That’s how you’ll experience the real benefits of blogging. Book clubs are always open for direct communication with writers. The members are ready to read different books and discuss them with complete honesty. You don’t need social media to locate book clubs and arrange meetings with their members. You only need Google. Search for book clubs focused on your niche. Present your book and rest assured that they will be interested to meet you. We’re not telling you to quit social media. They are definitely helpful for book promotion. However, when you drift your focus away from those platforms, you’ll discover a whole new potential of book advertising. Don’t be limited! is an experienced journalist. She feels passionate about writing and prefers developing such topics as education, motivation, and career improvements. Get in touch with her on Twitter. 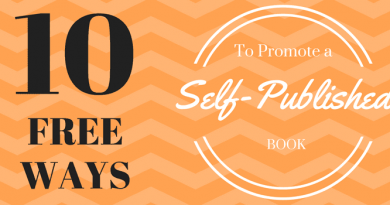 Do Kindle Countdown Deals Work? Wow! This article came to me at a time when I am feeling completely social media-ed out! My first book recently got published and I tired to get more active on social media. TIRING! I agree that this article was very helpful. Social media seems overwhelming and especially when you are not super savvy about social media. It’s daunting trying to write a book and basically learn a whole new “language” at the same time. This article provides other options or a least a starting point for those starting out. Fantastic article and spoke to my heart. I dont eveeven have my book started or writing yet and the idea of going public on social media. Especially hatebook makes me cringe. What came to my mind was old schooling it! Then this popped up. Perfect timing. thank you and thank you God and angels!!! Great article, I am one of these rare individuals who don’t have any social media accounts. So, as I was finishing my book, I realized that I needed to find a way to market my book. That’s when I started researching how to market my self-published book. I was getting very discourage and scared when everything I was reading was singing the praises of social media marketing. Thank you for giving me an alternative approach. Thank you so much for writing this article! I’m one of those people that just can’t stand social media. I grew up in the ’90s, so a good number of friends find it odd that I’m so averse to it. But the thing is, I’ve always been a very private person and social media makes me feel… well… sick, cheap, and overwhelmed. I tried to promote on Instagram at one point, but hated the feeling that it left in my stomach. So I’m now trying to look at ways to market my books without any of that, and this is a super helpful list! Funny how we don’t think of simple things like promotional flyers anymore, right? Thank you for the reminder that old school still exists and there are other options out there!